You are so right. Sometimes a book means so much more a few years later. Great Gatsby is one of my favorites! Its all in the first 2 pages.. Fitzgerald is amazing..
Fitzgerald's This Side of Paradise is one of my favorites. But I think I'd like to reread Chopin's The Awakening, especially because I am in a totally different place in my life than the first time I read it (which was in college). Perspective is a huge game changer in terms of novels. You know? Want to re-read To Kill a Mockingbird, I love that book in High School. The Great Gatsby is also on my list, especially since they are coming out with a movie soon starring Leo DiCaprio which is sure to be AMAZING! To Kill A Mockingbird! I've read it a million times! It never gets old! Confession: I've never read the Great Gatsby...I think I might need to change that soon, though! 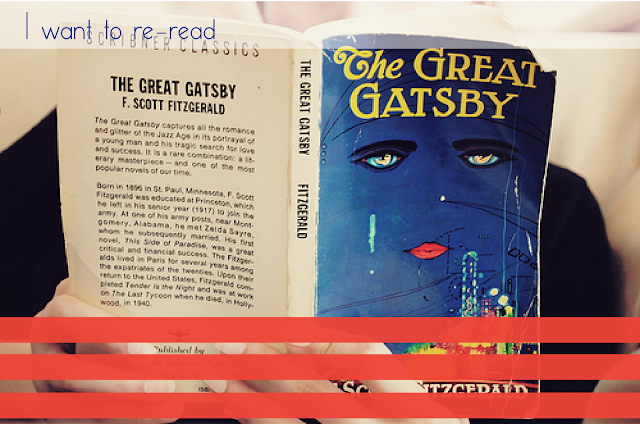 The Great Gatsby is a great story. I have it on my bookshelf. Classic pieces of literature are great to read over and over and over again.